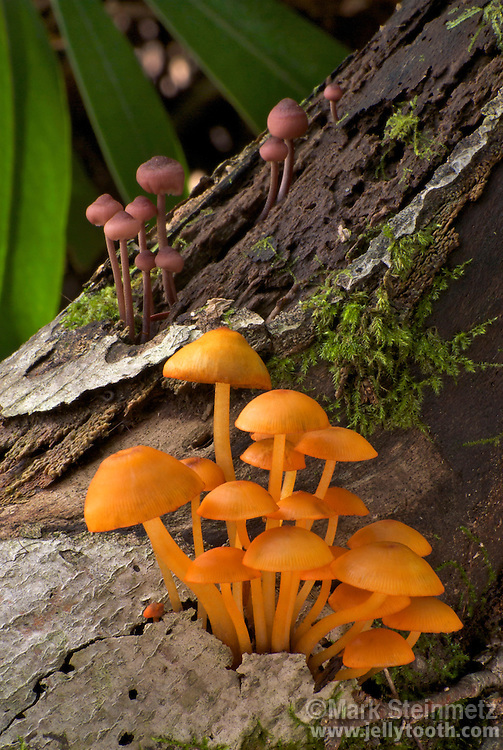 Two fruiting species of Mycena feeding on the same decomposing log. Bleeding Mycena (Mycena haematopus) is purplish-red at top, below it is Orange Mycena (Mycena leaiana). Monongahela National Forest, WV, USA.